Longboat Key properties have been visited year after year because visitors and residents enjoy this key's manicured landscaping, private beach and waterfront activities. This exclusive island located minutes from downtown Sarasota stretches between the Gulf of Mexico to Sarasota Bay for about 11 miles. Longboat Key's beach is white and powdery. You'll see early morning fishermen, shell collectors and walkers as you sit on your balcony and enjoy the birds swooping for their catch. Properties on Longboat Key range from tiny beach cottages, ranch style homes to magnificent homes to luxurious beachfront condominiums. 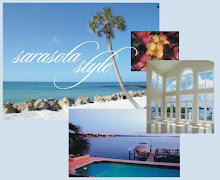 The Sarasota MLS list 150 single family homes for sale on Longboat Key and over 400 condos, villas and townhouses. There are 45 properties on Longboat Key under contract and 178 properties have sold in the last six months. Currently there are properties for sale on Longboat Key available at L Ambiance, Sanctuary and Privateer if you are searching for a property behind the gates of the prestigious Longboat Key Club. If you are interested in viewing any Longboat Key real estate, contact the John Allen Team at 941-544-6467.